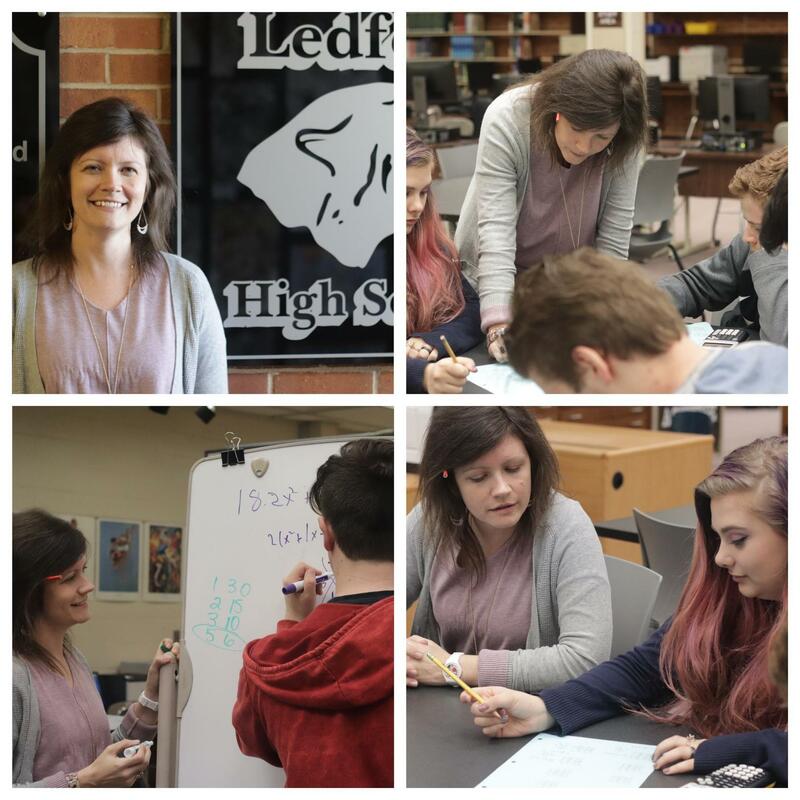 Congratulations to Ledford High School's 2019 Teacher of the Year - Mrs. Megan Tetter. Mrs. Tetter is in her 14th year of teaching at Ledford. She has taught Math I, Math II, Discrete Math, Precal, Algebra I, and Geometry. Mrs. Tetter is student centered and values relationships, relevance, and rigor in her classroom. She also coaches the Quiz Bowl team and is a leader within our school as our Professional Development coach. Thanks Mrs. Tetter for all you do to make our school great. We are Ledford Proud of you.